Ignatius Sancho (1729-1780) was an African composer and author who grew up as a house slave in an aristocratic household in Greenwich, England. He writes in one of his published letters that he was born in Africa. For over 200 years, the generally accepted version of his birth and early life was that found in Joseph Jekyll's brief biography, Life of Ignatius Sancho, published in 1782. 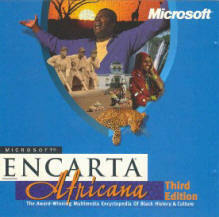 The book pictured above is Ignatius Sancho: An African Man of Letters. It was written by Reyahn King, Sukhdev Sandhu, James Walvin and Jane Girdham, and was published by the National Portrait Gallery of Great Britain (1997). Joseph Jekyll writes that Ignatius Sancho was born on a British slave ship off the coast of Guinea, West Africa en route to the Spanish West Indies. He tells us the child's mother died shortly after giving birth, and his father committed suicide to avoid a life of plantation slavery. He further says the child was baptized by the Bishop of Cartagena, in what is now Colombia, was taken to England, and was given to three sisters who shared a home in Greenwich. Jekyll gives a detailed account of the youth's domestic service, his self-education with the assistance of books provided by a neighbor, the Duke of Montagu, his emancipation and subsequent employment in the Montagu household. The major problem with Jekyll's Life of Ignatius Sancho is that much of it is unverifiable, and, worse still, much of it directly contradicts what Sancho himself says to people in his letters. For example, although Jekyll tells us that Sancho was born on a slave ship, Sancho himself seems convinced that he was born in Africa. For a more detailed reading of Jekyll's Life of Ignatius Sancho, see my article...that shows that Sancho was almost certainly not born on a slave ship. This was the period when fashion decreed the use of black domestics, both enslaved and free. In the homes of wealthy Londoners, fashionable spas and stately homes, black pages or servants were commonplace, a fact amply confirmed in any number of 18th Century portraits. There, working as a butler, he flourished, reading voraciously, writing prose, poetry and music. He became an avid theatre-goer and a fan of Garrick and became a figure in fashionable London society - friendly with actors, painters and, most interestingly with Laurence Sterne. 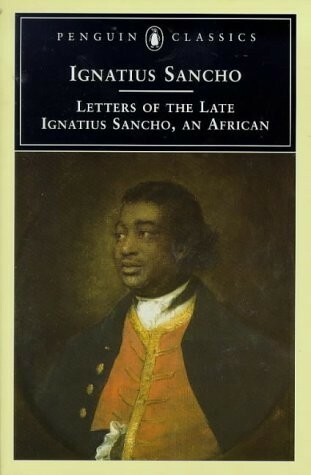 By the late 1760s Sancho had made the progression from being a decorative black domestic to a man of refinement and accomplishment, penning letters to friends and sympathisers around the country. As Sancho tended to his counter and customers - taking tea with favoured or famous clients - his wife Anne worked in the background, breaking down the sugar loaves into the smaller parcels and packets required for everyday use. Slave-grown sugar, repackaged and sold by black residents of London, themselves descendants of slaves - here was a scene rich in the realities and the symbolism of Britain's slave-based empire. Among the prominent visitors to Sancho's shop was Charles James Fox, leader of contemporary parliamentary radicals. We know that Sancho voted for Fox at the 1780 election, having acquired the right to vote by his property rights as a shopkeeper in Westminster. From what we know of Sancho's views, it is not surprising that he voted for Fox, but it is surely remarkable that at the high watermark of British slavery a black should cast a vote in a British election. In the decade before his death in late 1780, Sancho, now in his forties, became an inveterate letter-writer. He had made earlier attempts at writing, but his subsequent reputation was founded in the letters he penned in the 1770s. Among his most prominent correspondents was Laurence Sterne, the British author and country pastor who wrote the novel The Life and Opinions of Tristram Shandy. The work was published in nine volumes over a period of ten years, beginning in 1759. It includes many references to intellectuals and authors. Sancho first wrote to Sterne in response to his strong condemnation of slavery in the novel. IT would be an insult on your humanity (or perhaps look like it) to apologize for the liberty I am taking.—I am one of those people whom the vulgar and illiberal call "Negurs. "—The first part of my life was rather unlucky, as I was placed in a family who judged ignorance the best and only security for obedience.—A little reading and writing I got by unwearied application.—The latter part of my life has been—thro' God's blessing, truly fortunate, having spent it in the service of one of the best families in the kingdom.—My chief pleasure has been books.—Philanthropy I adore. In your tenth discourse, page seventy-eight, in the second volume—is this very affecting passage—"Consider how great a part of our species—in all ages down to this—have been trod under the feet of cruel and capricious tyrants, who would neither hear their cries, nor pity their distresses.—Consider slavery—what it is—how bitter a draught—and how many millions are made to drink it! "—Of all my favorite authors, not one has drawn a tear in favor of my miserable black brethren—excepting yourself, and the humane author of Sir George Ellison. —I think you will forgive me;—I am sure you will applaud me for beseeching you to give one half-hour's attention to slavery, as it is at this day practised in our West Indies.—That subject, handled in your striking manner, would ease the yoke (perhaps) of many—but if only of one—Gracious God!—what a feast to a benevolent heart! Sancho's son, William, added a long footnote to this biography in the 1803 edition. On 10 November 2007, Museum in Docklands will open the only permanent gallery in London to examine the city’s involvement in transatlantic slavery and its legacy on the capital. London, Sugar & Slavery will show it was not just a few evangelical parliamentarians who abolished the transatlantic slave trade, but a widespread grass roots movement that included people freed from enslavement who wrote about their experiences, thousands of ordinary citizens who lobbied collectively and women who campaigned with their purses by boycotting sugar that had been produced by enslaved Africans. The Buxton table, at which the terms of the Abolition Act were hammered out, will be on display. But the gallery will debunk the myth that abolition was achieved by a few evangelical parliamentarians. Olaudah Equiano, Ottobah Cugoano, Ignatius Sancho, Phillis Wheatley and Mary Prince, are amongst those African voices whose eloquent testimony were crucial to forcing change. London, Sugar & Slavery acknowledges enslaved Africans as the prime agents of resistance. 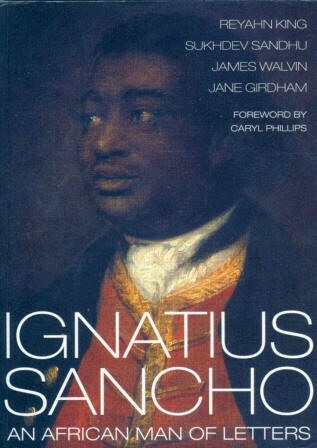 Chapter 4 of the Sancho biography was written by Jane Girdham and is entitled Black Musicians in England: Ignatius Sancho and His Contemporaries. Girdham mentions some of the other musicians of African descent who were prominent in Britain during Sancho's era. They include the British violinist George Augustus Polgreen Bridgetower (1778-1860) and Joseph Boulogne, Le Chevalier de Saint-Georges (1745-1799), born on a French plantation in the Caribbean. Both are featured on their own pages in this Web site. Ignatius Sancho was one of the few Africans in 18th-century England to become a member of the middle class, highly literate and an amateur musician and composer. He was recognised in his lifetime as a man of cultivated taste in various artistic areas, but his legacy of four volumes of published music provides virtually our only information about his musical activities. Sancho's surviving music consists of one set of songs and three sets of dances, all published over roughly a twelve-year period between 1767 and 1779, and totalling 62 short compositions (Wright, 1981, pp. 3-62). Although Sancho always remembered that his was an adopted culture, his musical compositions are some of the best proof of his assimilation into that culture. In addition to black performers, there were to be found in Georgian England black composers. One early African composer who lived in that country was Ignatius Sancho (1729-1780), a Renaissance man of learning and apparently the first black musician to publish his music. This volume is devoted to his biography and a study of his musical compositions. An investigation of Sancho's music is long overdue in light of the composer's historical significance as a black intellectual of the eighteenth century and the increased public interest in African and Afro-American history. He was conversant with the writings of Voltaire, the abolitionist literature of Sterne and Sharp, as well as with the poetry of his contemporary, the Afro-American slave Phyllis Wheatley (ca. 1753-1784). Of the published volumes, A Collection of New Songs is perhaps Sancho's most interesting. These songs were published originally for soprano voice with keyboard accompaniment. But the compositions are decidely suitable for any voice type, and may be easily transposed into various keys for this purpose. In general, Sancho adheres to simple binary-strophic forms with contrasting A and B sections. Only one song, "Take, Oh Take Those Lips Away," is through-composed. The average length of the songs is from twenty-four to forty-two measures. There can be no pretense that the music of Ignatius Sancho equals that of the leading composers of his day. But his musical compositions reveal the hand of a knowledgeable, capable amateur who wrote in miniature forms in an early Classic style. His compositions are of great historical significance in understanding the roots and origins of a classical tradition among black musicians in the Western hemisphere. His published music records the achievements of one black composer from the eighteenth century who was active at a time when most persons of African descent were chained by the bonds of slavery on both sides of the Atlantic.